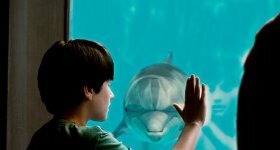 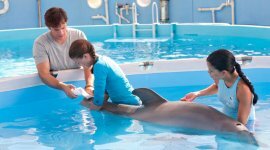 A young boy befriends Winter, an injured dolphin who lost her tail in a crab trap, and motivates everyone around him to help save the dolphin by creating a prosthetic appendage to replace the dolphin's missing tail. 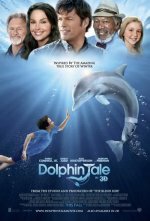 Harry Connick Jr. plays a vet who rescues the mammal and brings her to runs the marine hospital he runs. 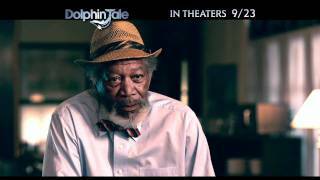 Ashley Judd plays the boy's mother while Morgan Freeman is a doctor who creates a prosthetic limb for Winter. 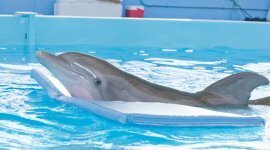 Inspired by the true story of a dolphin named Winter who was rescued off the Florida coast and taken in by the Clearwater Marine Aquarium.